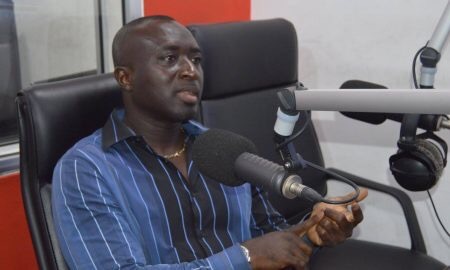 A former Black Stars striker, Augustine Ahinful, says the team must entertain supporters by winning convincingly against the Walias of Ethiopia on Sunday in order to recover the lost passion among Ghanaians. Ahinful explained that the team must be possessive on the day in order to prevent the Ethiopians from playing if they want to win Sunday’s 2019 Africa Cup of Nations qualifier at the Baba Yara Stadium in Kumasi. The Stars are returning to Kumasi for the first time in three years after they were booed by spectators at the same venue during an Africa Cup of Nations qualifying game against Uganda that ended in a 1-1 stalemate.The hostile attitude of the fans towards the team followed the Stars’ embarrassing 2014 FIFA World Cup campaign which resulted in appearance fees being flown to the players in Brazil.In an interview with the Daily Graphic, Ahinful said, “the only way to appease the fans and win them back is by winning convincingly and entertaining them on the pitch”. “It won’t be a surprise for the Ethiopians to be up for an upset, but I think we should prevent them from playing by possessing the ball,” he added.